While there is no doubt that Apple and its flagship iPhone have legions of fans, the product has its detractors. Perhaps the most notable at the moment is the Chinese government. The Chinese agency might be losing patience, since Quartz points out it's the second formal complain the government agency has sent Apple in the last month. The complaint has to do with battery life. Quartz says consumers have been complaining that the iPhones have been shutting down, even though the battery life indicator is still showing 30%. 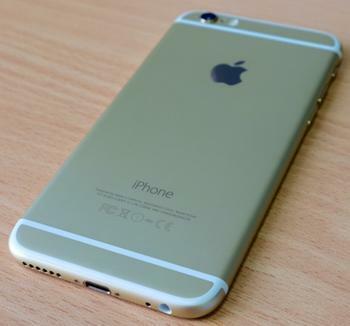 ConsumerAffairs readers have also been registering complaints about the iPhone 6 series lately. We're also getting complaints about the iPhone 6 touch screen, notably from many of our international readers. Rahul of Noida, India, reports his touch screen stopped working three months after he bought his iPhone. Closer to home, Barry of Sparland, Ill., also reports a touch screen issue. “I started having trouble with my iPhone 6, touch screen nonresponsive, screen crashes, thumb scanner acting up,” Barry writes in a ConsumerAffairs post. Maroof of Dubai, reports his iPhone 7 started giving him software problems within two weeks of his purchase. As for Chinese consumers' iPhone angst, Quartz reports Apple sent out many replacement batteries, but the Chinese Consumers Association says that didn't solve the shutdown problem. It wants a more complete explanation from Apple. Apple Insider, meanwhile, reports Apple insists the shut down problem is limited to a small number of devices manufactured in September and October 2015. The company says a battery component was exposed to ambient air for too long a period, leading it to degrade faster than it should.